I am enjoying the heck out of my new (Linux Mint) LMDE3 Sandbox computer. More than I thought I would. It was just to be a change of pace when Ubuntu made a dubious upgrade. I think LMDE3 would be a great OS for an Intel NUC computer. Like the one I just acquired that’s running WIN10 Pro OS. It could replace the present Sandbox hardware. There is an adage that goes, “If it ain’t broke, don’t fix it.” Sandbox hardware isn’t broke. It is working just fine. It’s a big box that just requires a good bit of desktop real estate. My office is small, so I don’t have space to tuck away Sandbox in an out-of-the-way location like Old Ironsides in the picture. Fact is not one new PC provides the long obsolete parallel port as standard. Only a custom built machine. The only logical use I have for a Linux “Mint” flavored NUC is a replacement for the office Sandbox. A Linux NUC is just a thought. A reconsideration of why I first looked at the tiny NUC. My intention, before I bought my present Intel NUC, was a small, low-cost replacement for Sandbox. I have an early Apple Mini-Mac and that seemed like a good size. The NUC is smaller than the Mini-Mac. I realized I needed a powerful WIN10 standby for my aging Windows box more than a replacement for Sandbox. 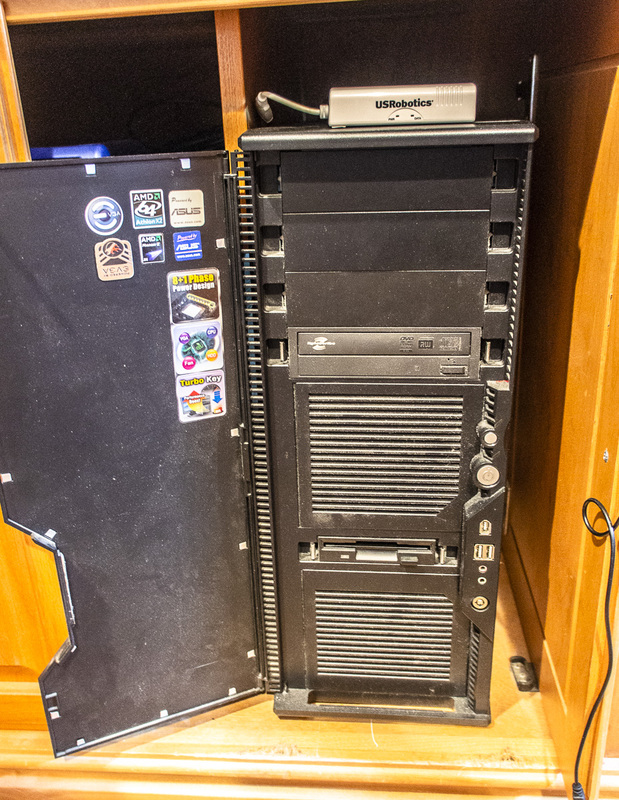 So I put together the best baddass WIN10 NUC I could, to serve as a replacement for “Old Ironsides”, my old and massive quad-core Windows desk computer. I done good there. “Old Ironsides” still runs, but for how long? Sandbox doesn’t need performance equal to Old Ironsides replacement. But knowing me, I like to push the performance envelope a bit on all my computers. A reality check again reminds me – technically, Sandbox isn’t broke. It is runs quite well with LMDE3 and a dual core processor. I should leave it alone. No fixing needing. Someday, when I just have to create more space on my desk, the decision on which micro size computer will be easy. For the present, I get to play with my powerful WIN10 NUC all I want. 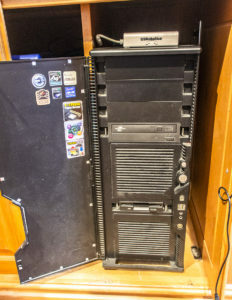 I allow myself to have wacky thoughts and “blog” about a much smaller sandbox… with the same NUC footprint.